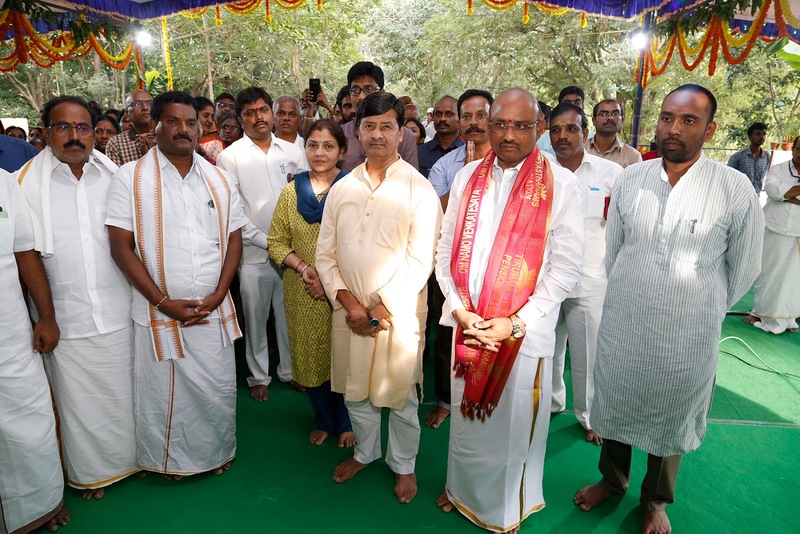 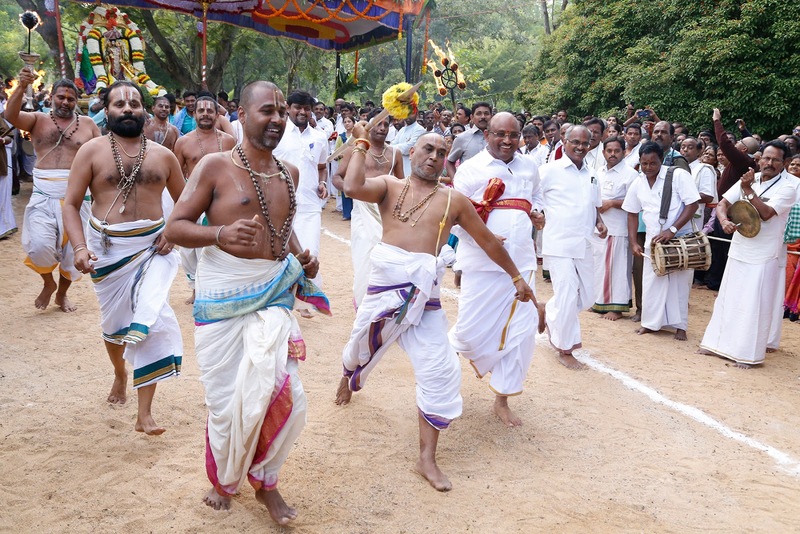 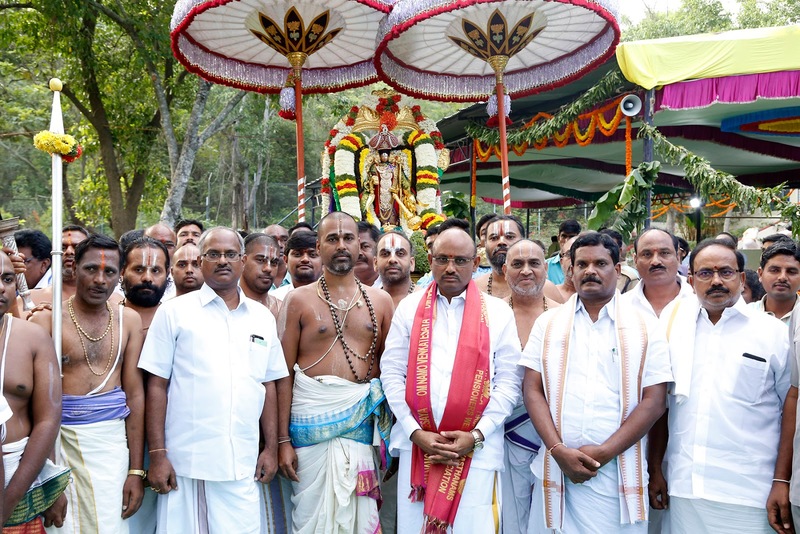 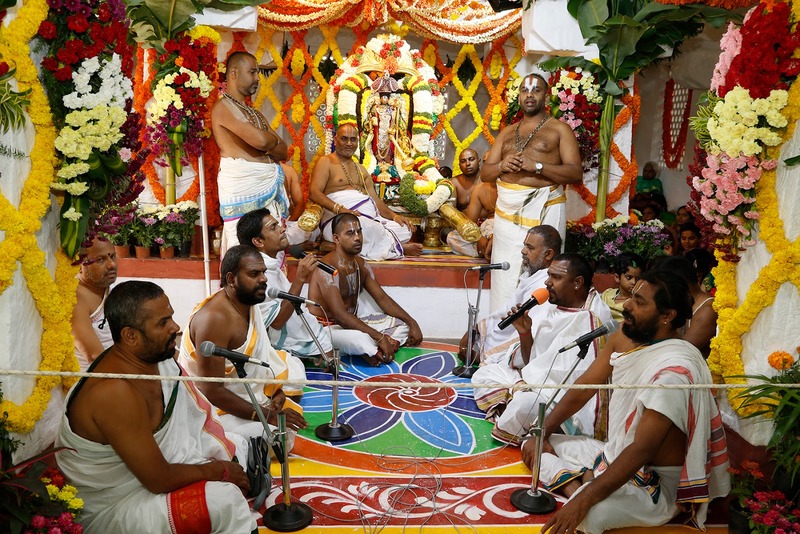 Tirumala, 19 October 2018: It was all fun and frolic that pervaded at the ancient Paruveta Mandapam on Friday where the Sri Malayappa was taken out on a hunting safari. 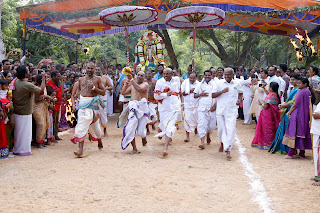 The hunting expedition, is usually observed on Kanuma festival every year. 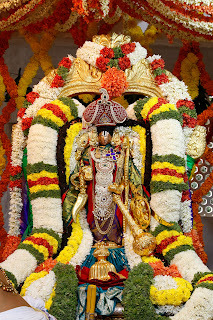 As the Navarathri Brahmotsavams occur in Adhika Masa, this mock hunt festival is observed on the immediate day after the conclusion of the annual fete. 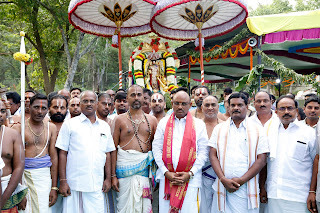 Paruveta Mandapam situated near Gogarbham dam about two kilometres from the temple. 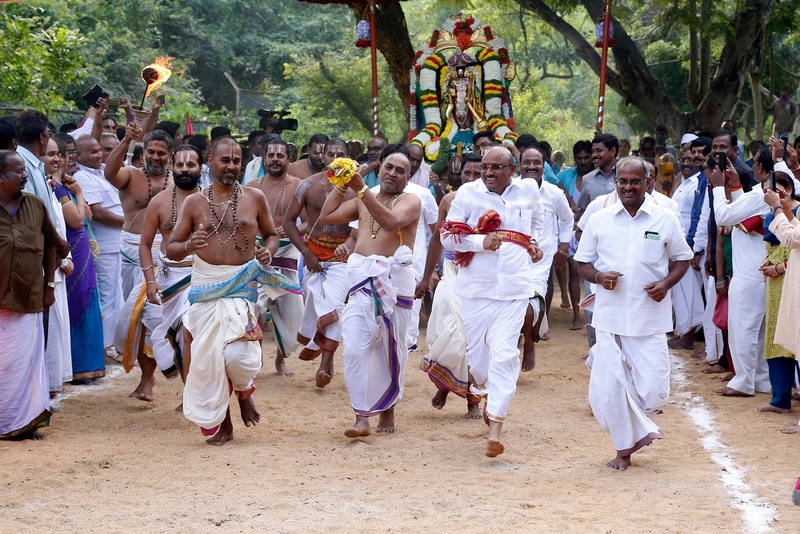 Thousands of devotees took part in the mock hunting jubilations organised in connection with the Kanuma festival. The processional deity of Lord Malayappa dressed in the royal robes of a King hunter was taken out to the venue in a grand procession which passed through the thick woods. 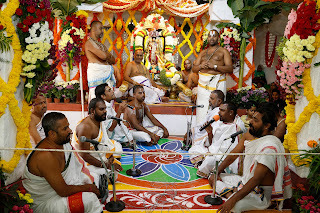 The deity was equipped panchayudhas includ Gada, Khadga, Sankhu, Chakra and Bana befitting the occasion. 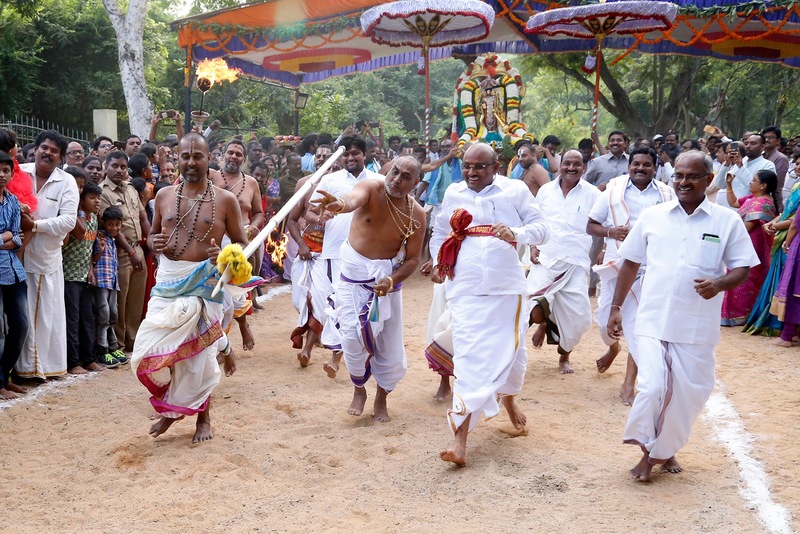 The priests threw silver spear was thrown at a wild beast tied to the bushesas if the Lord is hunting them. The pilgrims thoroughly enjoyed the fete. Later the Lord returned to the temple. 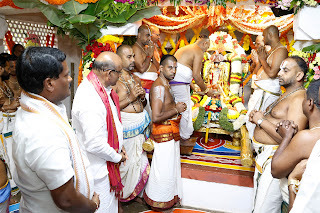 TTD Chairman Sri Putta Sudhakar Yadav, Temple DyEO Sri Haridranath, Peishkar Sri Ramesh, Parpathyedar Sri Ramachandra and devotees took part.